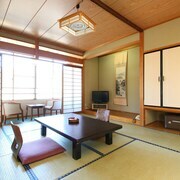 Situated in the mountains, this ryokan is steps from Shinshufudo Onsen and Hirugami Onsen. Achi Shrine and Chogaku-ji Temple are also within 3 mi (5 km). The staffs were really kind and helpful. They did they best to help us getting on the road after the unexpected heavy snow. The surrounding was beautiful. We would love to go back if we have a chance to visit the area in the future. 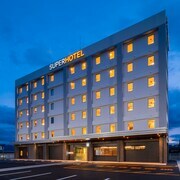 Where can I find hotels in Tsumago that are near tourist attractions? 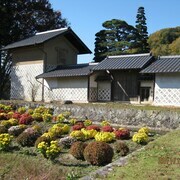 Accommodations are extremely limited in Tsumago. There are, however, 3 hotels within an easy driving distance. 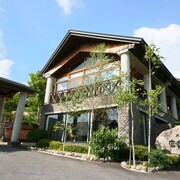 The nearest of our hotels is the Hotel Route-Inn Iida, Nagano, which is 20 kilometres (13 miles) from downtown Tsumago. 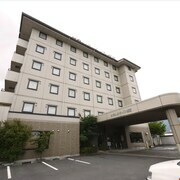 As an alternative, you could investigate the Hotel Route-Inn Ena, located in Gifu, which is 20 kilometres (14 miles) away. 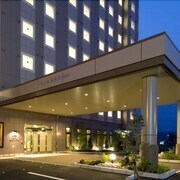 14 kilometres (9 miles) away from the middle of Tsumago, is the Hotel Route-Inn Nakatsugawa Inter. The Yuruino Yado Keizan is 17 kilometres (11 miles) away. 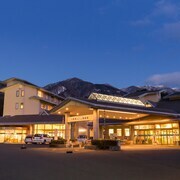 Two more Expedia-listed accommodations include the Otogi-tei KOFU and the Enakyo Grand Hotel. The larger Chubu region is well worth seeing also. Investigate Chubu's ruins, castles and traditional villages and photograph its beaches and mountains. Locals and visitors alike in this region of Japan enjoy snowboarding. 95 kilometres (59 miles) to the east of Tsumago you will find Isawa Onsen, where you'll find Monde Winery and Yamanashi Mars Winery. The Hanayagi No Sho Keizan and Hotel Route-Inn Court Kofu Isawa are some of the fabulous Expedia-listed short and long-stay alternatives in Isawa Onsen. 80 kilometres (49 miles) to the southwest of Tsumago, you may also choose to stay at Nagoya Station, which is home to the The Westin Nagoya Castle and Hilton Nagoya. The Sky Promenade and Mode Gakuen Spiral Towers are a couple of the most popular places to experience while in Nagoya Station. Just because you're traveling, doesn't mean you can't enjoy your obsession for sports. You will find Nagoya Dome 75 kilometres (45 miles) to the southwest of Tsumago. For visitors who are keen on booking accommodation nearby, make a reservation in the Nagoya Creston Hotel or Nagoya Tokyu Hotel. For travelers flying in or out of Tsumago, the handiest airport is Mt. Fuji - Shizuoka Airport. 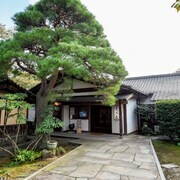 The nearest accommodation is Hotel Route-Inn Shimada Ekimae. 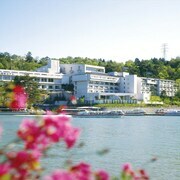 What are the most popular Tsumago hotels? Are there hotels in other cities near Tsumago? What other types of accommodations are available in Tsumago? Explore Tsumago with Expedia.ca’s Travel Guides to find the best flights, cars, holiday packages and more!